World Champion Greg Minnaar is teaming up with Gene Hamilton of BetterRide for a three day downhill mountain bike camp at Northstar Resort in Lake Tahoe, California. This is an amazing opportunity to learn from one of the most experienced coaches in the sport and one of the fastest racers in the world, Greg Minnaar. This is the same camp that Mitch Ropelato, Naish Ulmer, Graeme Pitts and many other top downhill racers have taken and raved about but with the addition of Greg Minnaar! Sign up soon as this camp limited to 12 riders to ensure the optimal athlete coach ratio and the Minnaar camp in Bootleg this spring sold out in 6 days! Designed for downhill racers, this Downhill Camp focuses on core skills, course inspection, finding the fast "pro" lines, mental preparation and FUN. 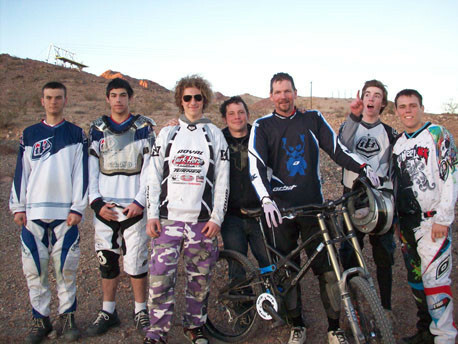 About BetterRide: Gene Hamilton founded BetterRide in 1998 to provide structured, professional mtb skills coaching to racers of all ages. Gene is a licensed USA Cycling Expert Coach and has over 17 years of coaching experience including 11 years coaching mountain biking. His coaching highlights include coaching many top pro racers (Chris Van Dine, Eli Krahenbuhl, Andrew Pierce, Joey Schusler, Graeme Pitts,...) top junior experts (Ben Hulse, Naish Ulmer, Parker Worthington, 4 of the 6 racers on the US Worlds Team in 2008, ...). Gene is a pretty good racer too, in 13 seasons as a pro downhill racer he has won a Silver (2002) and two Bronze Medals (2006, 1999) at the UCI World Masters Championships.